In heading back to San Jose, my group made a stop at the Central Market, which has been a staple in the city’s day-to-day living since 1880. 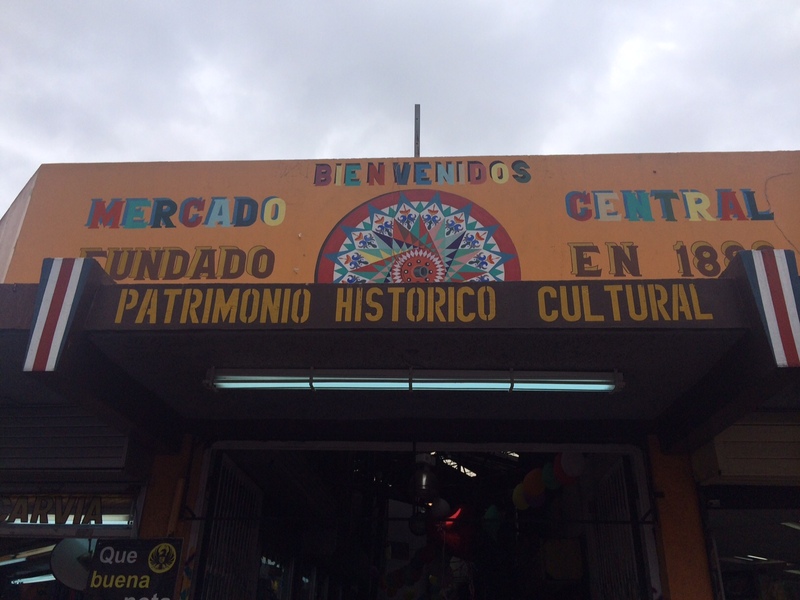 Known more so as Mercado Central, this block-long indoor marketplace can be bustling as a meeting spot as well as for getting lunch or groceries, a cup of coffee or a souvenir. Open pretty much from sunup to sundown, Mercado Central contains more than 200 businesses – shops, stalls, and casual restaurants known as sodas – with some that are roughly a century younger than the market itself. 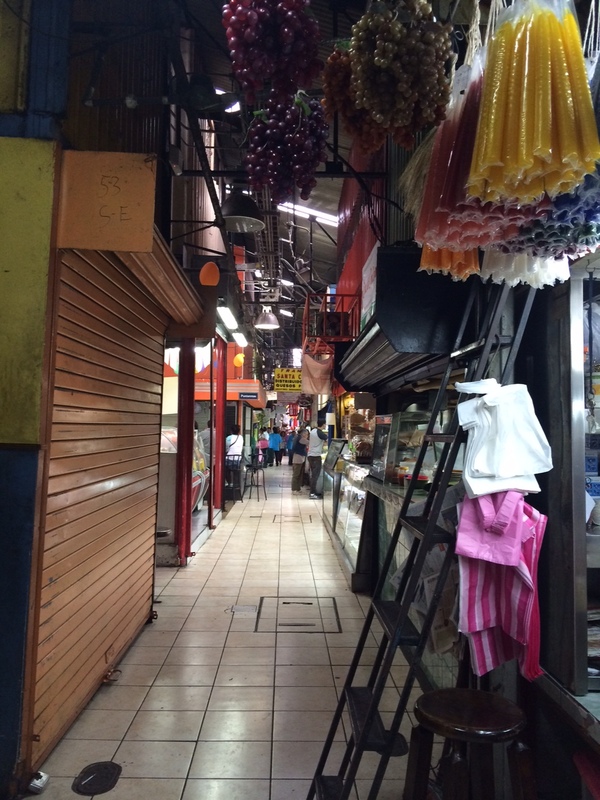 As a maze of stands and corner stores, Mercado Central can get a lot of foot traffic. You walk through various alley-like ways and it’s easy to turn your head while you’re moving en route. But of course, you have to make stops in between. Here is where I did. Helados De Sorbetera Lolo Mora. 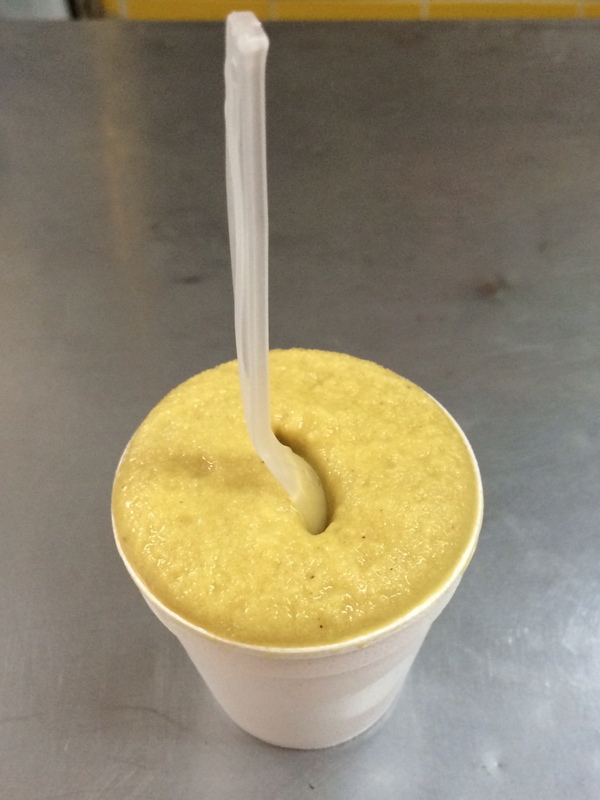 Since 1910, this ice cream shop has been serving their recipe for sorbetera. The yellow colored iced treat is whipped but with ingredients like nutmeg, clove, vanilla, and cinnamon. 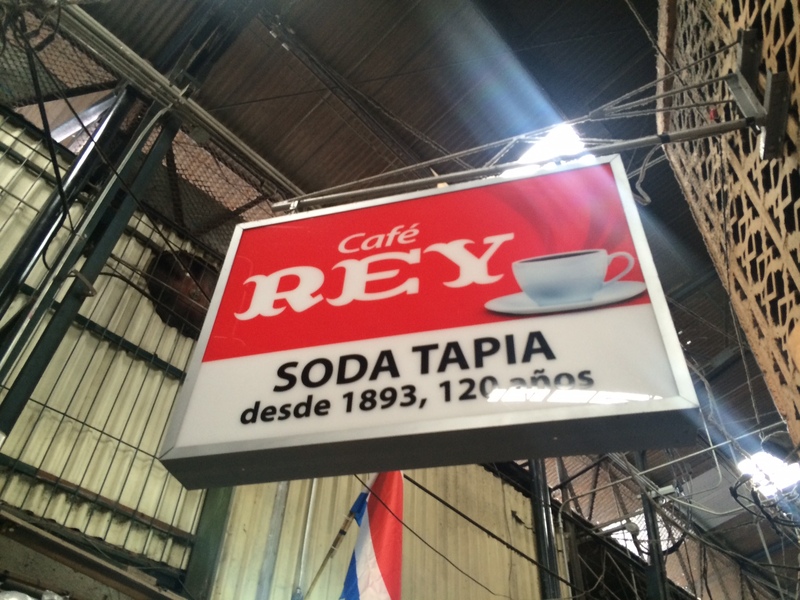 Café Rey. Owned by the Tapia family, this fifth generation-owned restaurant has had a space in Mercado Central for just over 120 years! One dish to try is the family’s arregladas (stuffed tortillas). 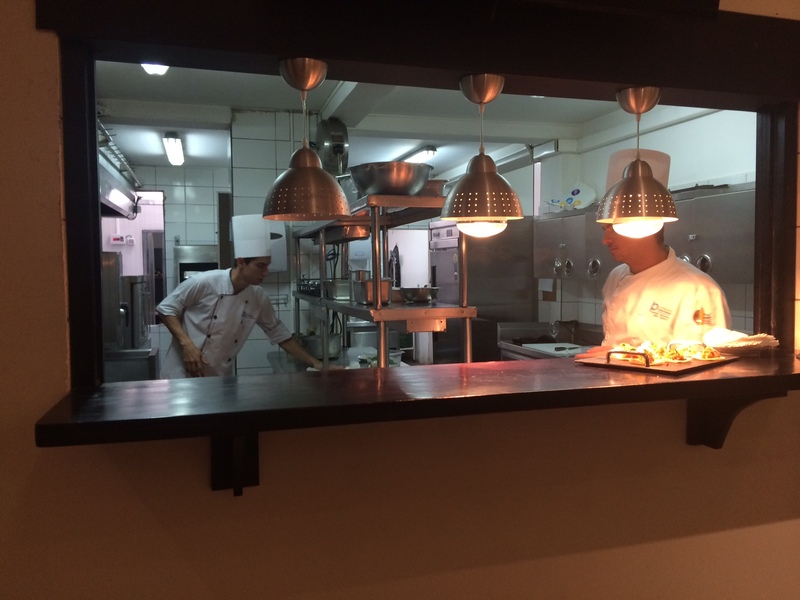 Cafeteria y Cafe Central. 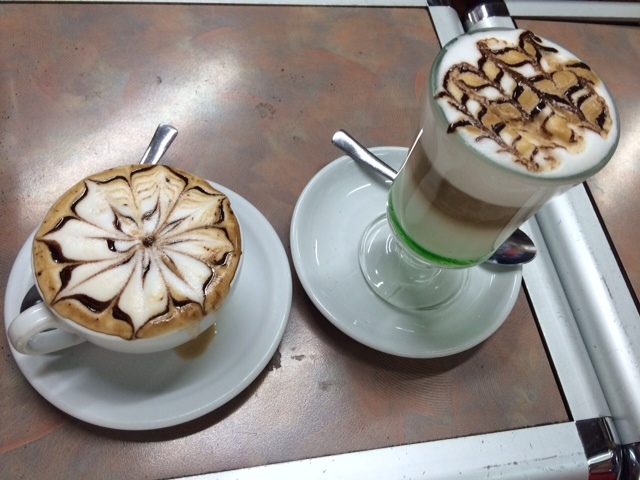 This coffee shop is where you can buy any java from black to an espresso or even a sweet specialty drink. 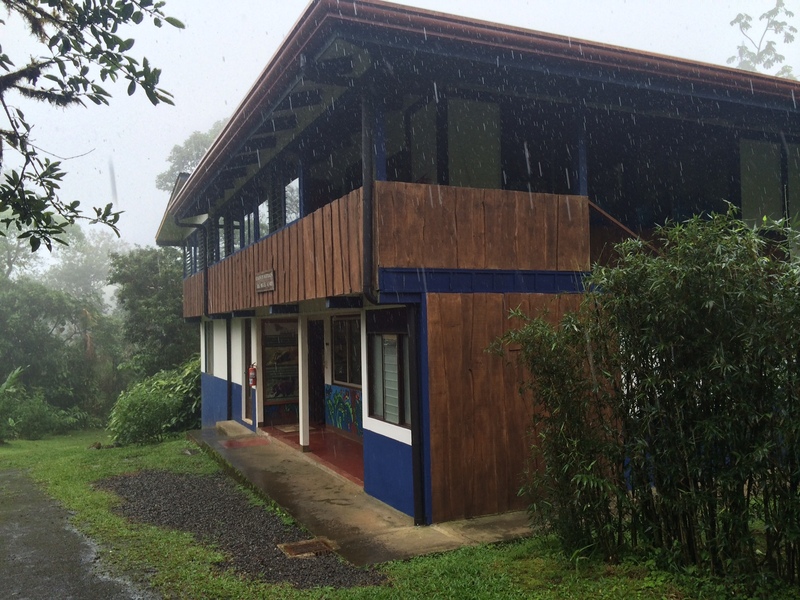 Plus watch grinding of, and smell the scent of roasting, Costa Rican coffee beans in large machines. 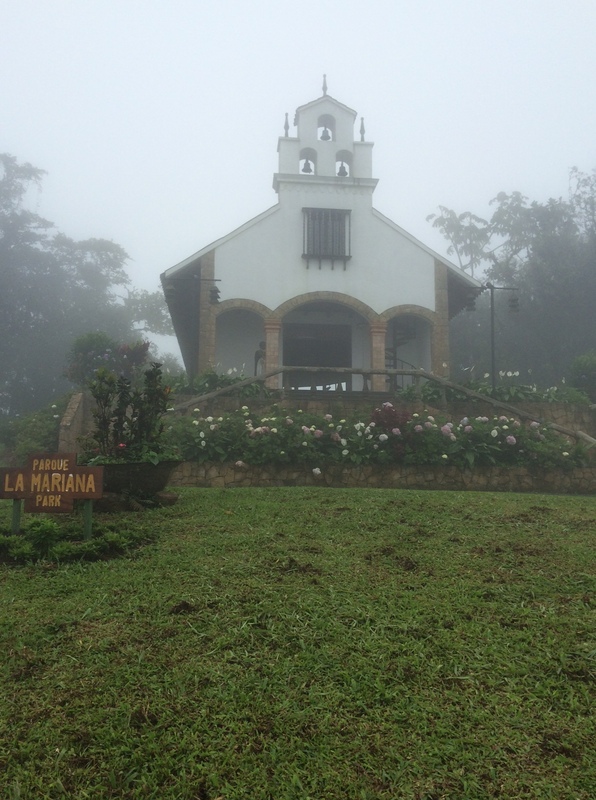 You can also see what is used as a coffee pot in Costa Rica – a chorreador. This device, which is a simple wooden stand, works by pouring hot water into a white cloth that looks like a jean pocket but acts like a filter. 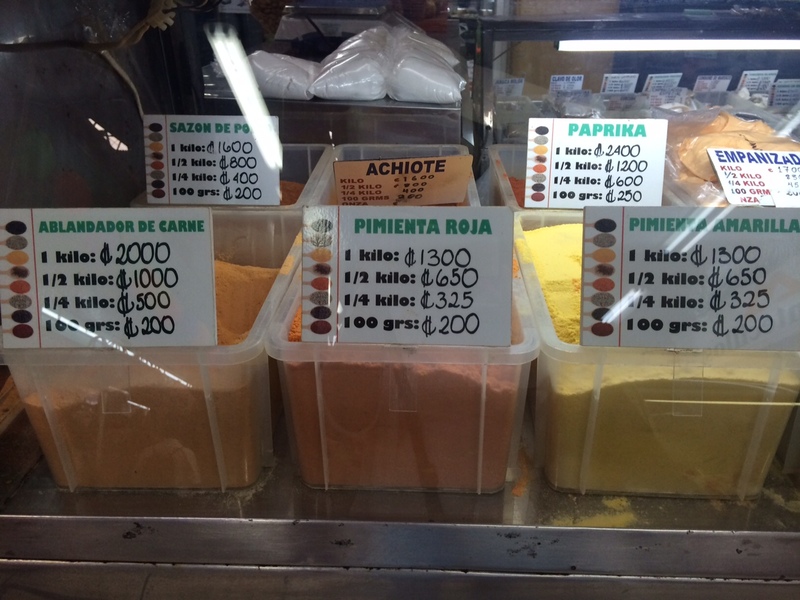 At Mercado Central, you can also find fruits, spices, flour, and cheeses plus even a nice bolso or floral bouquets. It’s definitely worth a visit! 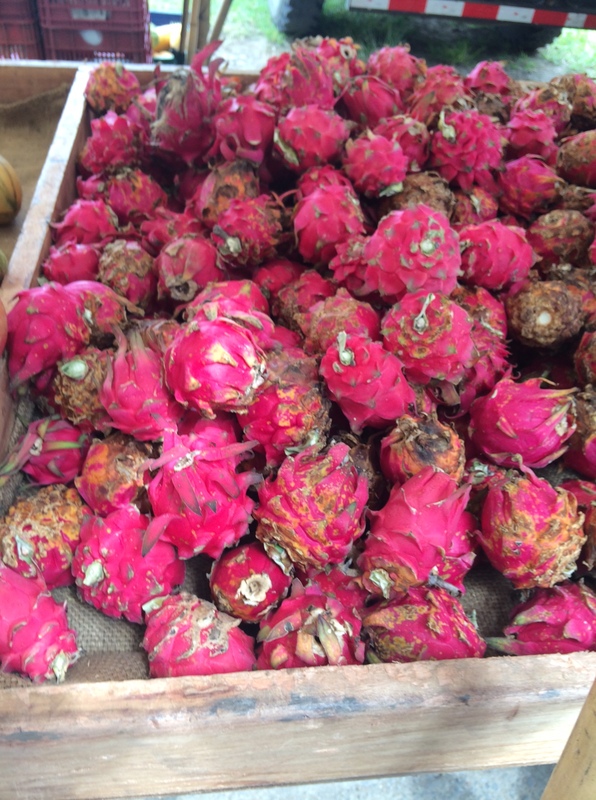 This entry was posted in Costa Rica and tagged Costa Rica Central Market, Costa Rica markets, markets in Costa Rica, Mercado Central on September 12, 2015 by She Is Going Places. 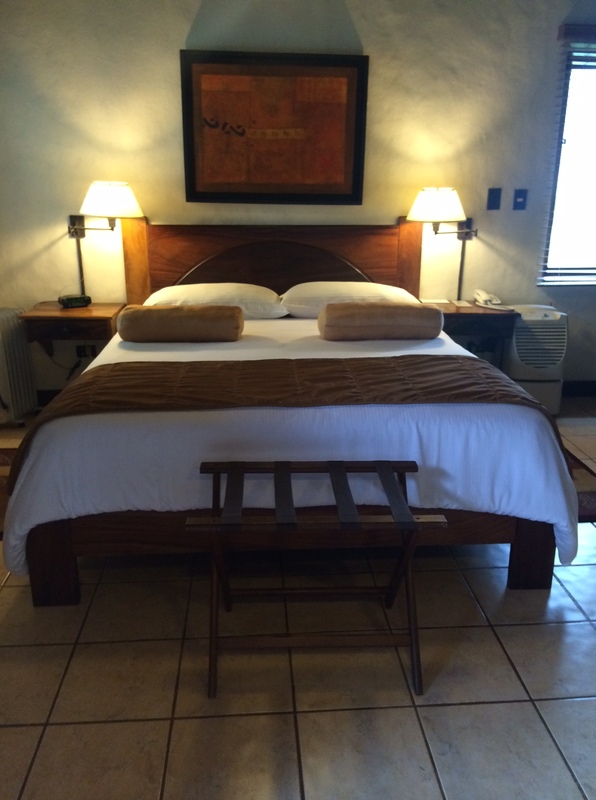 Costa Rica has a number of options for viewing wildlife. 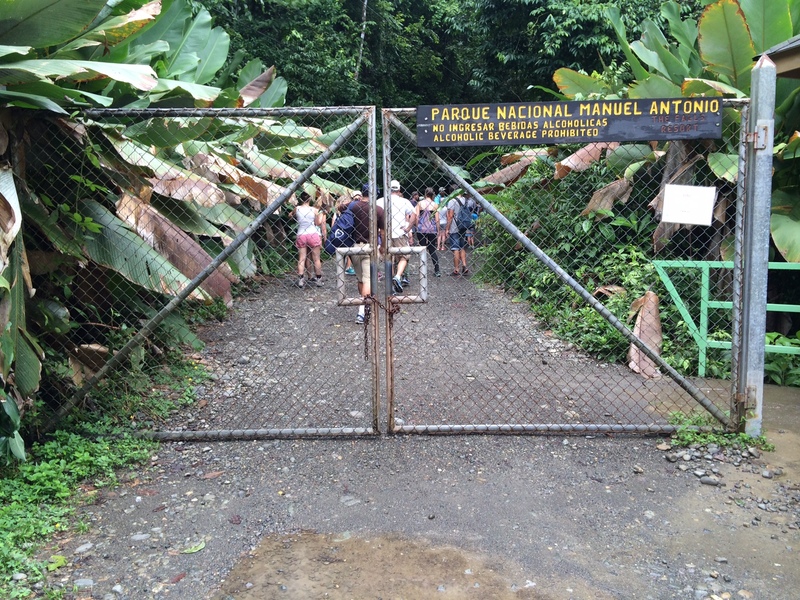 One of its best known, and said to be one of its most popular attractions, is Manuel Antonio National Park. 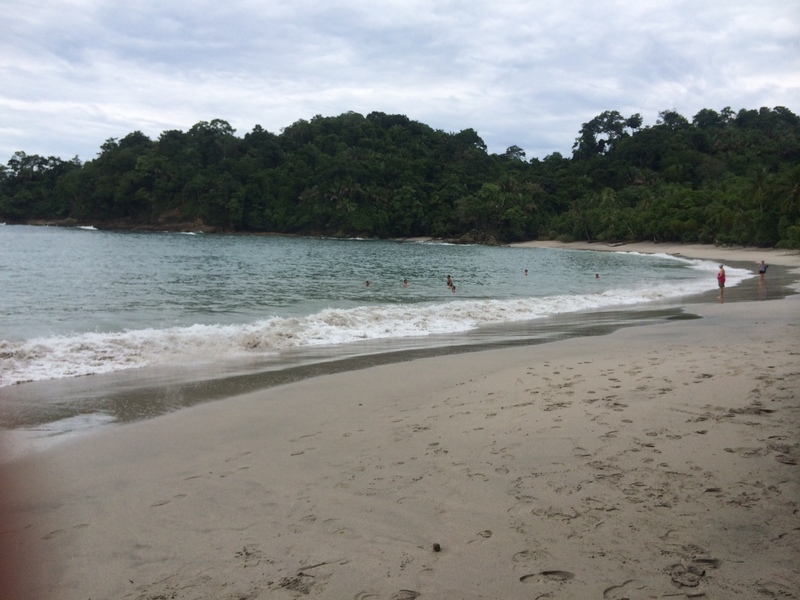 Located on Costa Rica’s Pacific Coast, Manuel Antonio National Park gets thousands of visitors annually and has four lush beaches, a number of hiking trails, forests, and several inhabitants on land and in the water. It’s a pretty bio-diverse location. 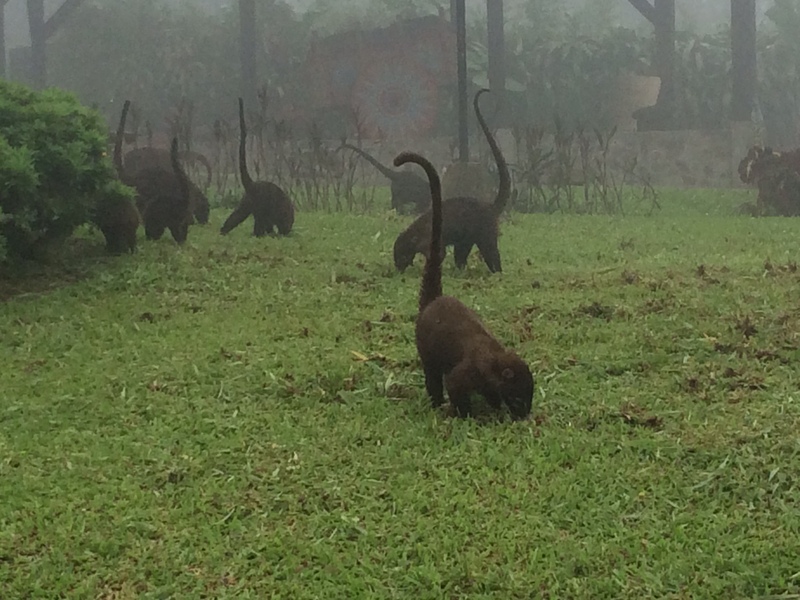 If you like sloths, monkeys, lizards, iguanas, and birds, then this is the best place to see them! 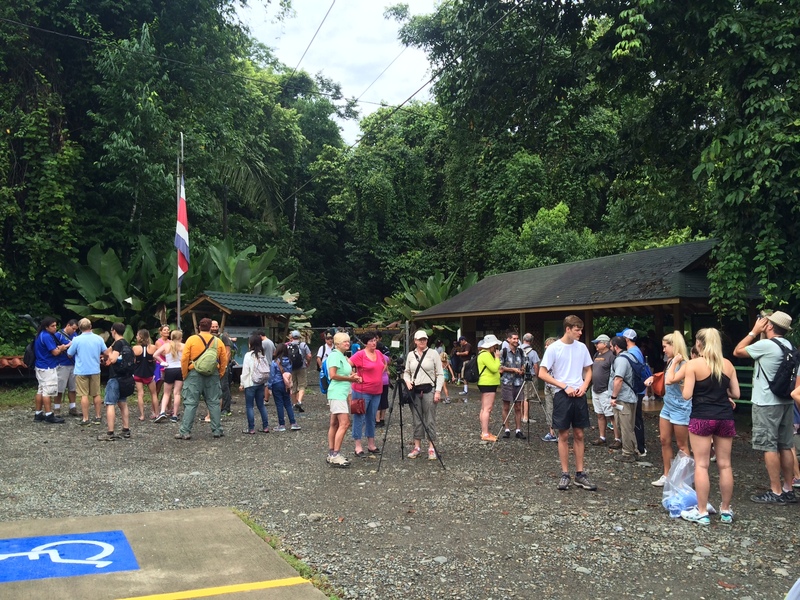 If you want to visit Manuel Antonio National Park, go early. When my media group went to see the park, our guide told us that there is limited amount of daily visitors permitted in the park. You have to pay an admission fee to enter the park, and it’s open every day except Mondays. If I remember right, we got there before 9 a.m., and a line was already forming. Another good tip from our guide was to, well, get a guide. Park guides are certified – in having been extensively educated about the park – and often can stop and point out the various wildlife that you might not see at first yourself. 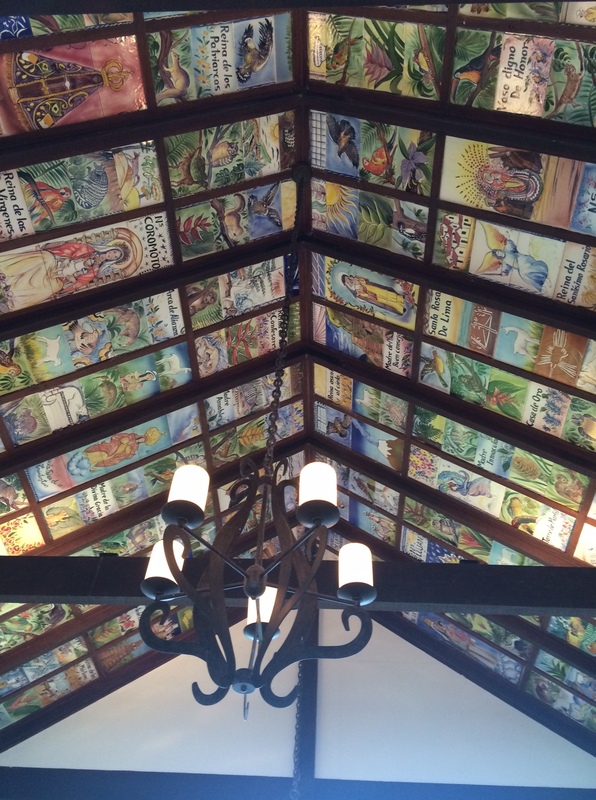 It’s said you can rent a guide at the park or possibly book a reservation in advance through your hotel. Of course, you can go on your own and just take in the views. And if a crows stops at a certain section, it’s a good indication they’ve spotted something. After walking through one of the trails from the entrance, we headed down to one of the beach areas. It’s a bit of a trek down a hill, but along the route, there is a changing room/shower area. At the beach area, there are picnic tables or just random sections for putting your items down. But as a note, watch your stuff. Not just because of the obvious reasons, but there are some creatures that be curious about what you’ve got. 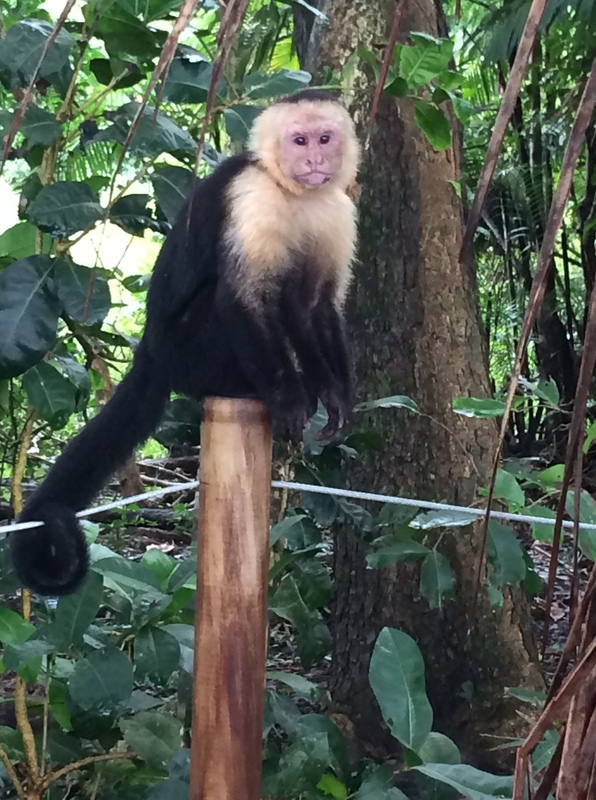 There a few different species of monkeys here, one of them being a white-heard capuchin. My group spotted a few of them wandering around the beach area. Let them be, but note that they seemingly are curious. In heading to the beach, I got to go into the water for a while. I’m not a strong swimmer but I had a bit of time in the water. The waves can be a bit strong — you can come across riptides — so I just ended up letting them just me back toward the beach. There are also rocks underwater the water, too, but so watch where you step. 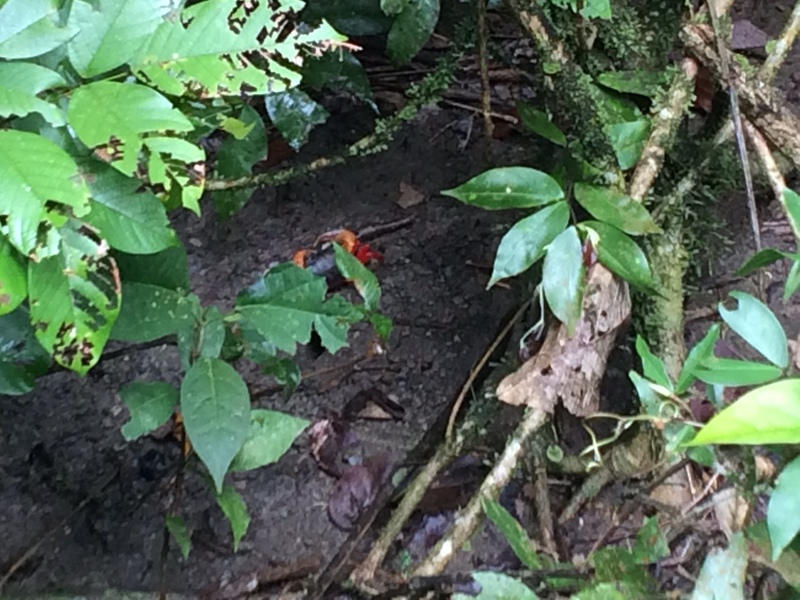 In heading back, we went on a different trail where we spotted other creatures like this land crab that’s a bright reddish color. This one below was pretty camera shy. 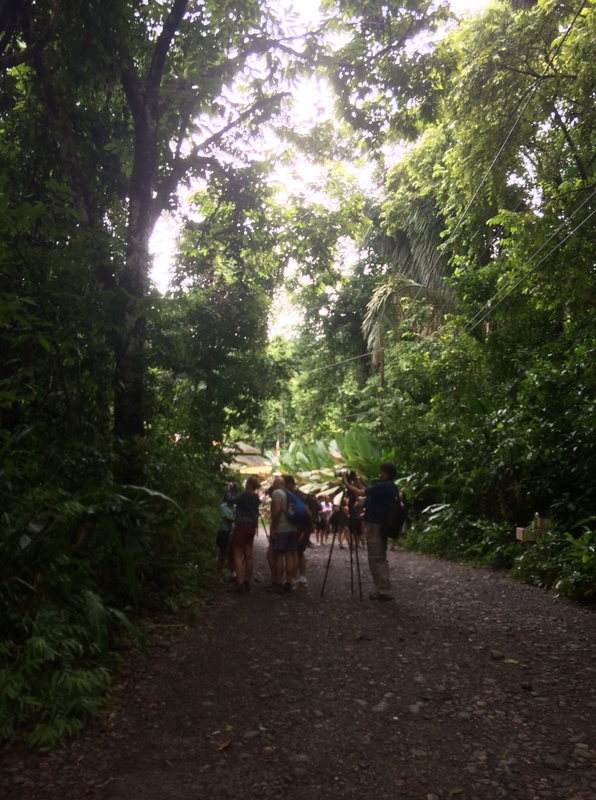 In all, Manuel Antonio National Park is worth a visit! 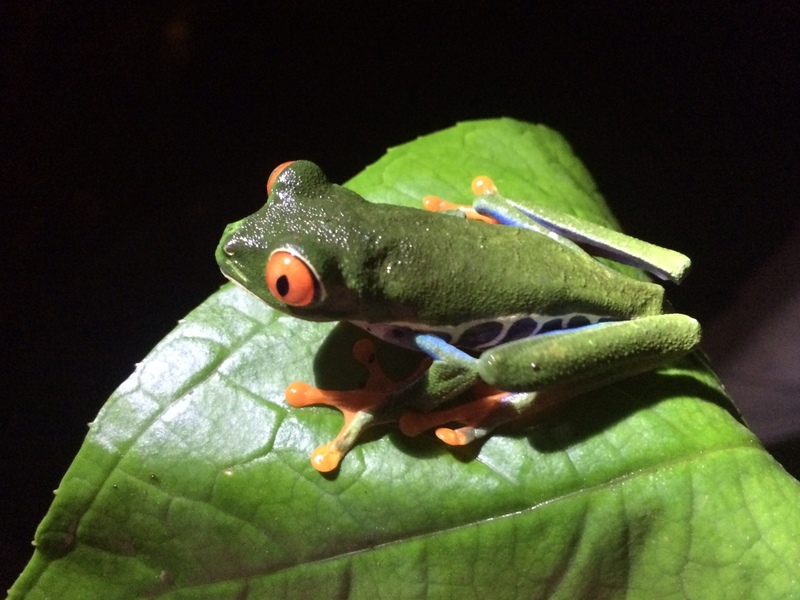 This entry was posted in Costa Rica and tagged Manuel Antonio National Park, parks in Costa Rica, visiting Manuel Antonio National Park on September 8, 2015 by She Is Going Places. Costa Rica is often recognized for its beaches and wildlife but its culinary side is getting more attention through a new gastronomic program. 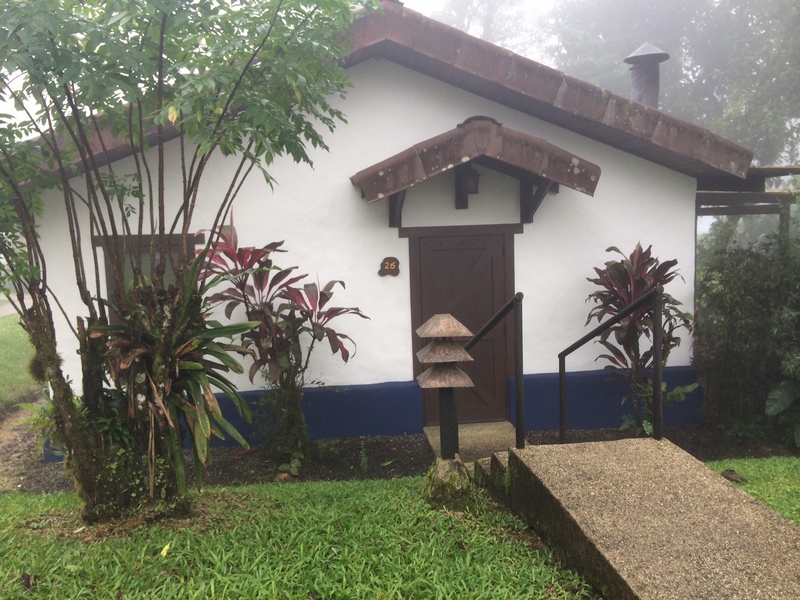 Recently I went on an assignment through Visit Costa Rica tourism board to learn more about a new national gastronomic program that promotes more use of native Costa Rican ingredients and dishes – as often done with home cooking – for sustainable, healthful and economical benefits. Of course to see this program in action we went to places that reflected good examples. 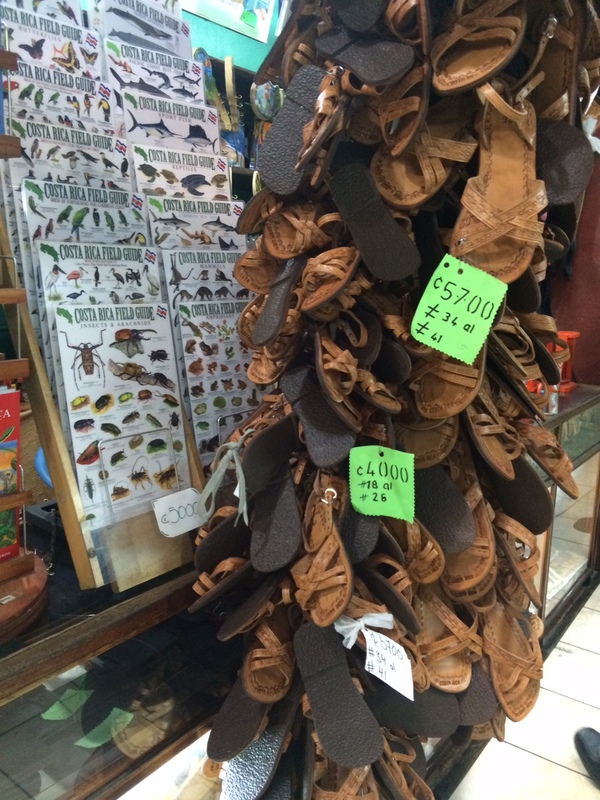 Our start was in San Jose, Costa Rica’s capital, with a visit to Feria Verde, or translated as The Green Fair. 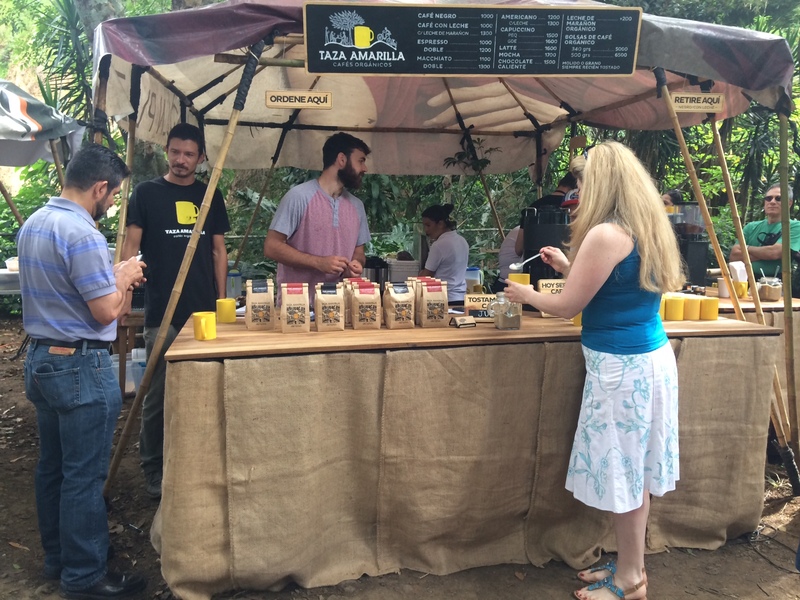 Founded by the Organic Lovers Association (AAMOR), a nonprofit organization that promotes sustainable living within Costa Rica, Feria Verde is an eco-minded farmer’s market happening on Saturdays mornings in the neighborhood of Aranjuez. My group went to Feria Verde Aranjuez, which is about five years old now. 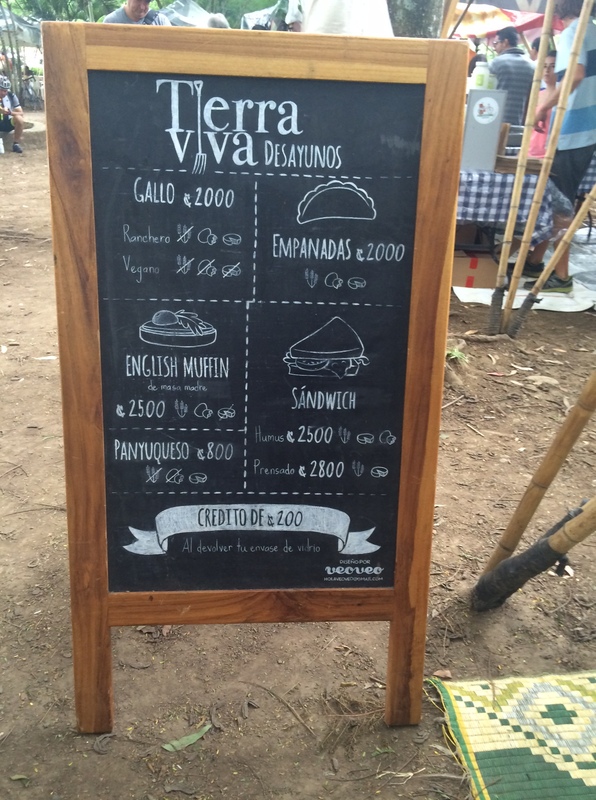 It’s held at a place called Polideportivo Aranjuez, in the morning hours, and on our day we walked along a pathway is lined with booths manned by restaurants, organic farms, and other various local producers offering fruits and veggies, breads, sauces, and even coffee. 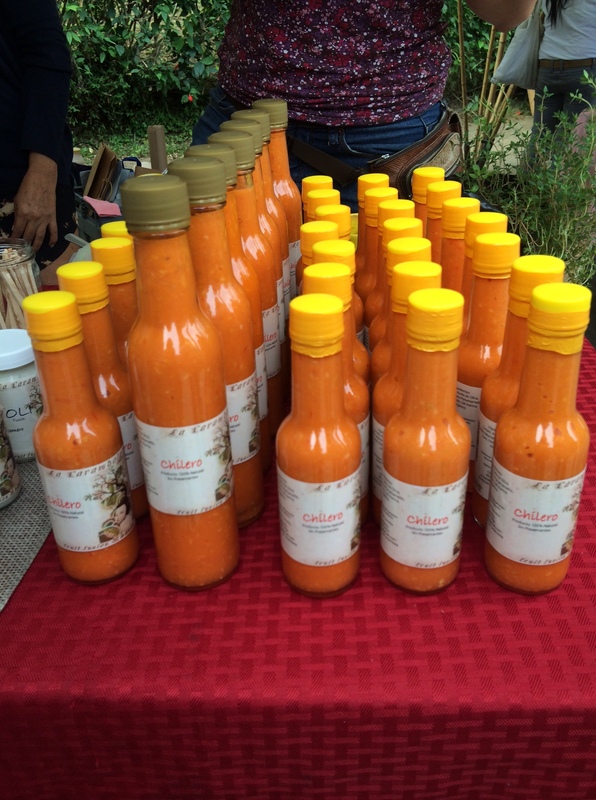 Other edibles available for purchase included locally made cheeses, hot and mild sauces and even popsicles. And we were able to get some breakfast too. 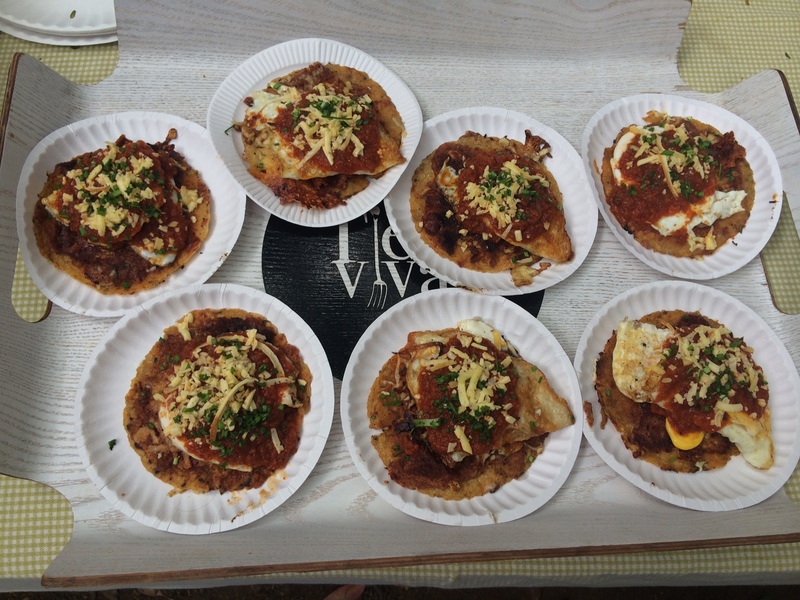 From one vendor, we ordered “un gallo ranchero,” an egg, cheese, and tomato sauce medley on a corn tortilla. 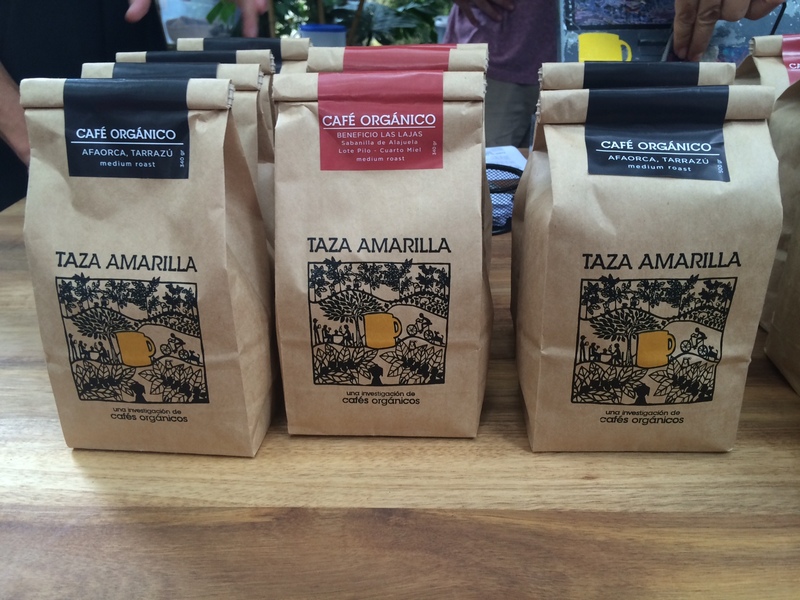 We also had coffee from Taza Amarilla, an organic coffee farm that has a regular spot at Feria Verde Aranjuez. 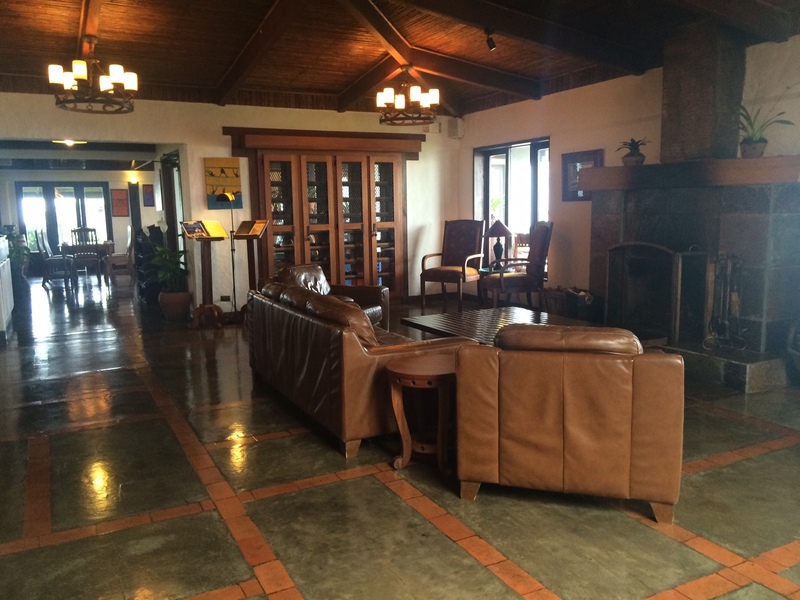 Another place that we went to on our first full day is Chateau 1525, a culinary school and restaurant inside a former mansion dating back to the 1930s. 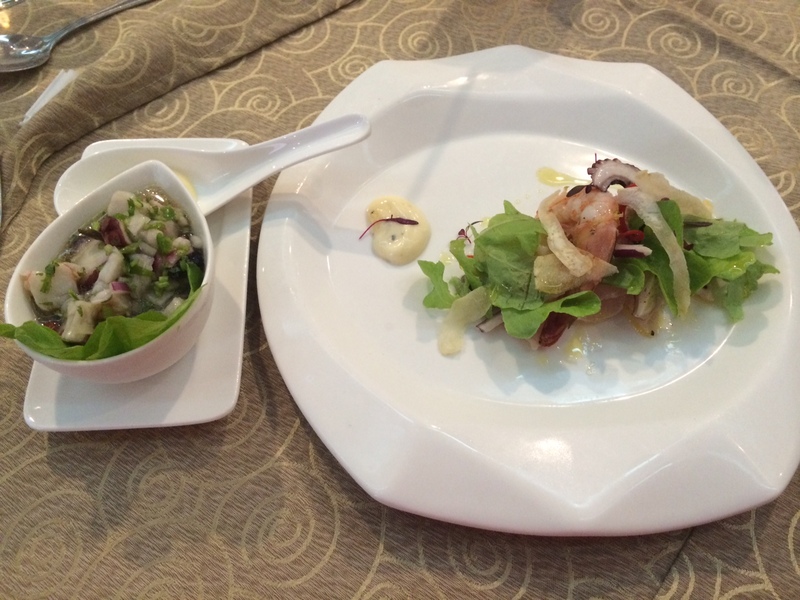 During lunch hour, the school’s students put on a five-course culinary presentation that gave us a taste of tradition and a side of interpretation. 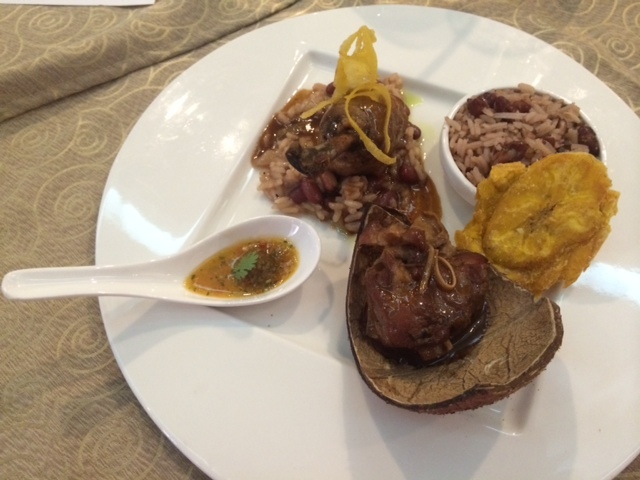 We were given a history lesson too on the food staples in the Costa Rican diet and the Spanish, African, and indigenous influences reflected in these dishes. 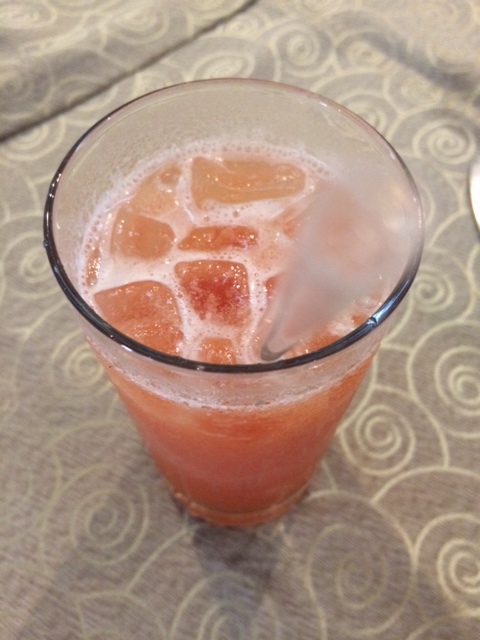 For example, “Vuelve a la Vida” can be compared to ceviche (raw fish treated with a lime or lemon juice) but a dish is made of different types of seafood that are diced and then given some lemon juice. 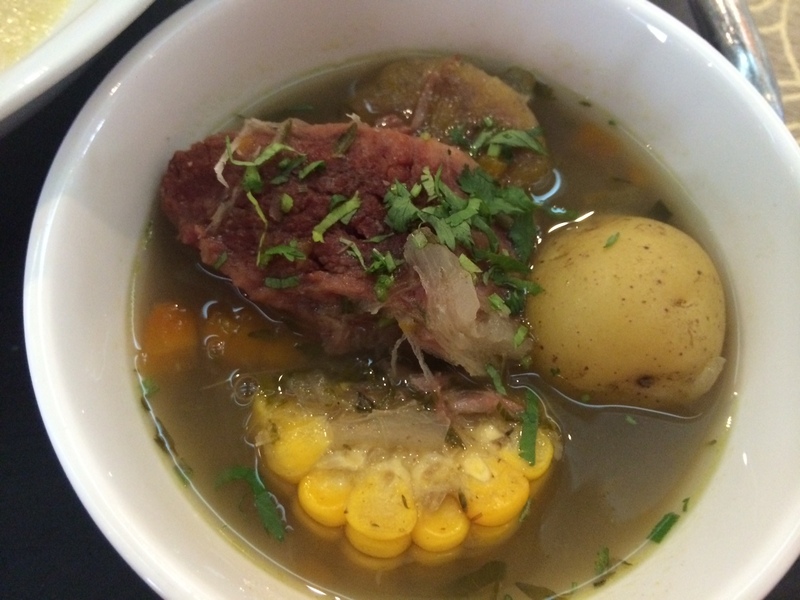 Stew also has its place in Costa Rican traditions and a regional one called “Olla de Carne,” a strong beef and root vegetable concoction that can make for a nice remedy when someone is sick – like chicken soup. Rice and beans are also essentials in Costa Rica and a typical dish is called Gallo Pinto and it can come with chicken or fish. For dessert, the student chefs whipped up different treats that are featured at town festivals, which are called turnos. 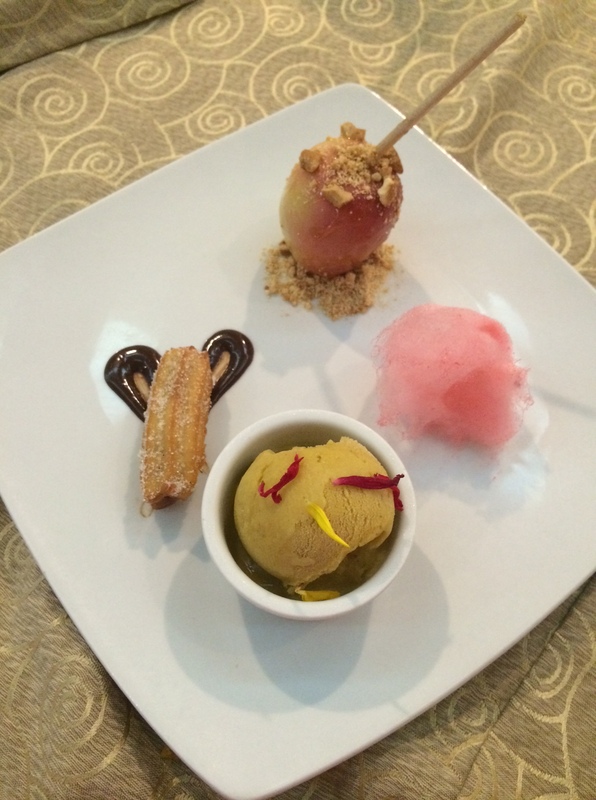 We had sorbetera (a vanilla based ice cream with spices), churros, and sugared apples, among other goodies. We ended our day with dinner at Tintos y Blancos, a family-owned restaurant in San Diego that focuses on Mediterranean cuisine. Its innovate decor is built around wine, with a look that resembles a wine cellar. There are nearly 500 wines in stock – with many also available for purchase – that compliment every meal. 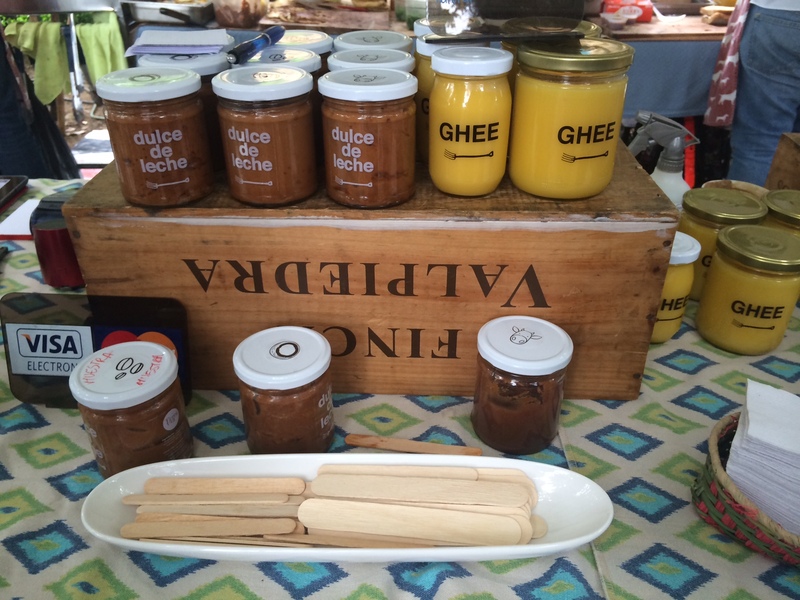 Origins extend to France, Italy, Chile and Argentina – the latter a nod to the owners’ heritage. Overall, it was a filling first day. 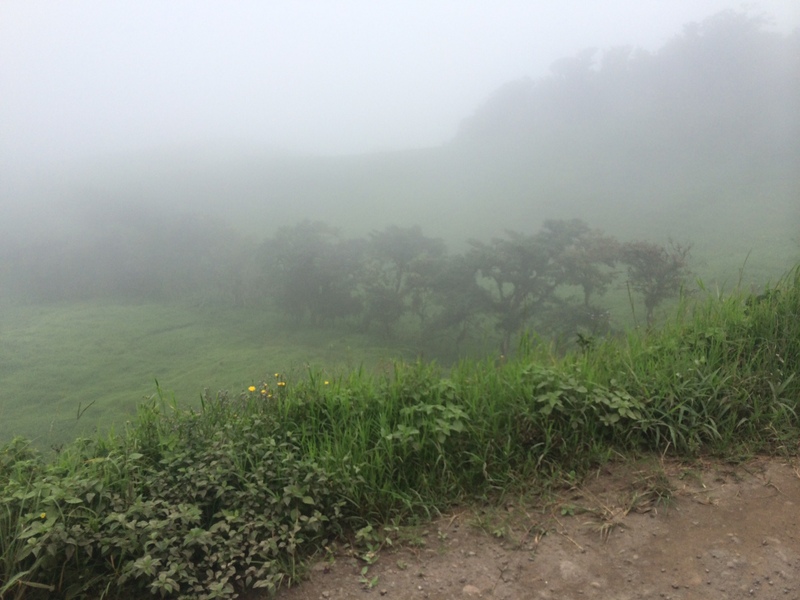 Editor’s Note: I was invited by Visit Costa Rica to learn more about its culinary offerings, but all opinions are my own. 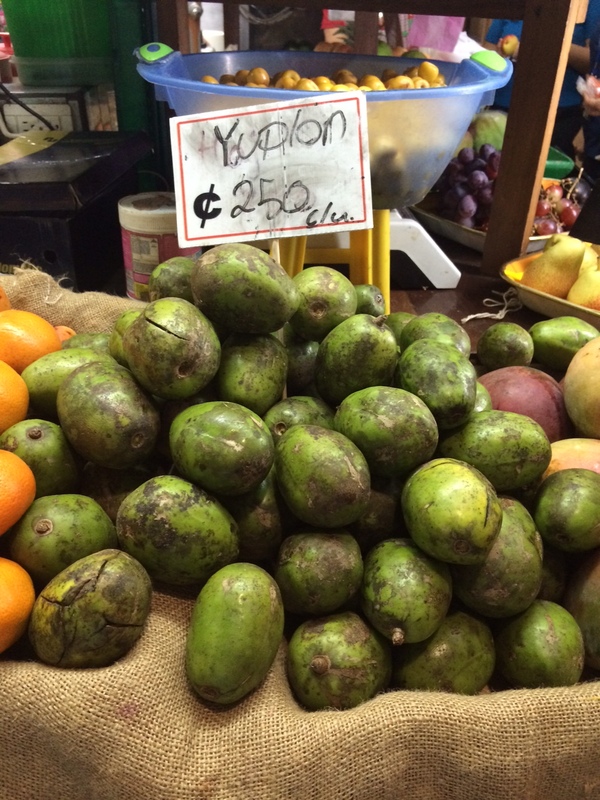 This entry was posted in Costa Rica and tagged Costa Rica, Costa Rican dishes, local foods Costa Rica, markets in Costa Rica, San Jose markets, What to eat in Costa Rica on August 21, 2015 by She Is Going Places.